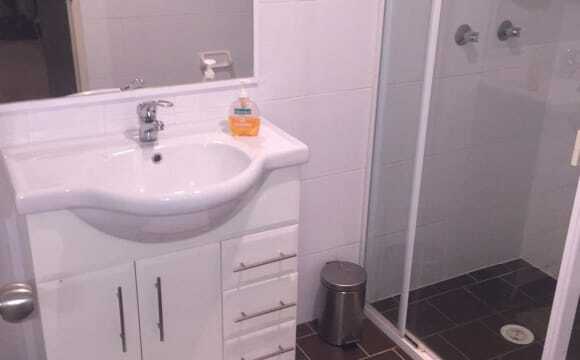 Close to main Town, less than 1 km away from train station, and private property. 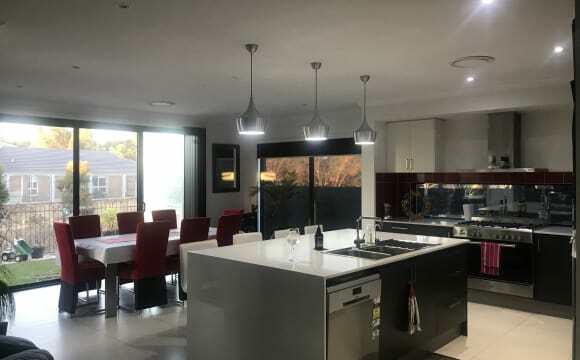 Close to shops, train station and the local bus picks up and drops off at front of house, there is a gym just down the road in walking distance, as most things are from this residence, so therefore owning your own car is definitely not a criteria. The new tenant has the right to all amenities, with consideration to the other tenants. Rent will include bedding but renter must supply own personal items. For eg toilet paper, food and laundry supplies. Both of the $200 rooms include internet, water and power though will be charged as per usage. Netflix is available, and on those chilly nights there is a slow combustion fire to keep warm by. The single rooms are for the $200 and both come with a made single bed, wardrobe and bookcase. The room with the white furniture is available for renting. The other is occupied at present until the 18th of May 2019. The bathroom is shared with the other people who happen to be here at the same time. Out in the spacious backyard, that is fully fenced there is a comfy swinging seat with a lovely pond area and newly planted ferns to relax by, only just completed but it is a very tranquil, cool and calm place to sit and read a good book, or study whatever be your thing. If the new tenants would like to have their friends over for a meal then out on the back deck there is a BBQ and a blue tooth music set-up, before people get the wrong impression, this is far from a party house, but I, as other people do enjoy the company of my friends and would just like to let the new tenants know that as long as they, and their guests are respectful there would not be a problem with that at all. A great way to be close to nature and its healing energy. Quiet neighborhood. Close to public transport. For the right person this could be mostly your place for yourself or as many as 2 other housemates. I have one cat, 2 dogs, all desexed. I also have 2 laying chickens. I'm looking for a long-term tenant, likely 3 months minimum stay, with no limit for how long you might stay beyond that timeframe. Bedroom available in bright and airy house in Katoomba. The house features large backyard, big deck in backyard, dishwasher, lots of storage space in large kitchen/dining area. Just a stones throw away from Katoomba central. Located in North Katoomba it is across the road from the cancer council op-shop (which is handy :) ). The people you’ll be living with- 22 year old peronsal trainer and a 27 yo female who works nights at a cafe 5 days a week, a student also who has placement 1 day a week. 3 yo Border Collie who is full of energy and and loves people! so if you’re not a dog lover and understanding of there needs then maybe this isn’t the house for you. HMU :) Also I feel like I should add that this house is NOT a party house, I don’t mind having a few drinks now and then but our partying days are behind us now so please respect that. The house is a 2 story house - big but very cozy. There’s a fireplace and air conditioning down stairs. The room has a built in. We have wifi, Netflix and a big backyard to have a small bonfire and entertain. There is a bush trail at the end of the street. Non smoking and no drugs. 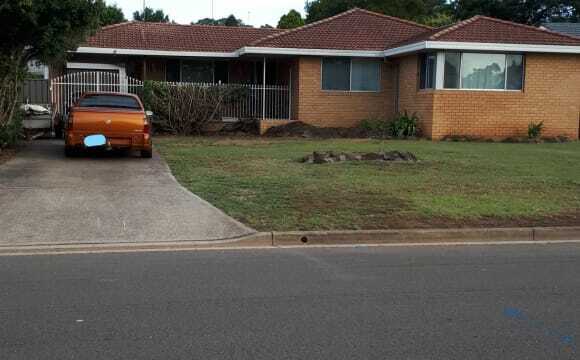 Very quiet street, close to Katoomba Sports &amp; Aquatic Centre, not far from Katoomba town centre and railway station. Large, roomy, relaxed house. Very quiet and peaceful street. 10-15 minute walk to springwood Shops. 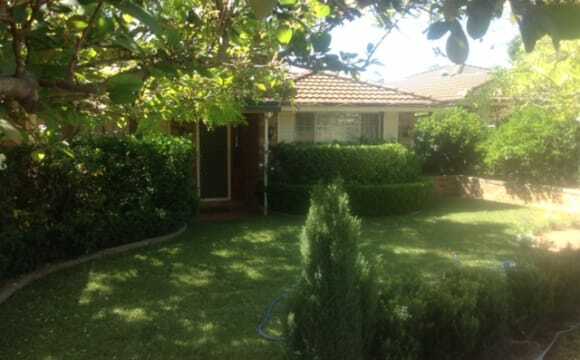 5-10 minute walk to Faulconbridge Shops. Bus route which picks up on our street. 2 minute walk to Aquatic Centre/Gym/Buttenshaw park. Bushwalks nearby. 800m2 block with Vegetable Gardens(currently growing corn, carrots, tomatoes, lots of chillies) and your welcome to grow anything you like and get into the veg gardens too). Shared Kitchen. Shared Bathroom(Shower and Separate Bath). Shared Toilet. Shared Family Room. You will have your own Private Bed room. ..TWO AWESOME BEINGS TO SIT IN THE HEARTSPACE OF OUR HOME.. If you are between houses and need an interim household, please contact us. Bond not required for short stays. 2 x MASTER BEDROOM AVAILABLE Long Term or Short Term Bed 3 - Currently furnished with a single bed and storage cube OR can be removed if you have your own furniture. Built in wardrobe with mirror doors. Bed 2 - Currently furnished with a queen bed and side table OR can be removed if you have your own furniture. Built in wardrobe with mirror doors. Because of the bed placement (optimising tree outlook upon waking), there is a large area not utilised (might suit a desk &amp; chair or whatever suits your preferences). Choose from one of two master bedrooms to suit your taste. Large built-in wardrobes in each room. Tree outlook from the comfort of your bed. $200 per week. This price covers most bills (part electricity, internet, water). Ideally, I Am looking for two people for a longer term, if the 'right' fit. Nil preference on gender. You will know you're in the 'right' place when you take a breath and your soul feels at peace. People with a gentle heart welcomed as is creative, artistic, grounded, conscious individuals. INSPECTIONS WELCOME BY APPOINTMENT. Please read the requirements of the household before enquiring. I run one of the rooms as an AirBnB so you will need to be comfortable having guests in our home. I LOVE being an AirBnB Super-Host, so you will find the house spotless almost every day. Visitors, Backpackers, Woofers and Travelers welcome. If you are between houses for a few days or a few weeks, let us know. We have two separate lounge areas. Chilled, laid back household. Every household member must be willing to be sensitive to each household member(s) need for space and alone time. Health conscious household. No smoking, no drugs (social alcohol okay), no chemicals, no chemical personal care products to be used inside the house (no perfume, hairsprays, aerosols, strong deoderants). No synthetic products including 'scented' or 'fragrant' candles. No incense. High quality essential oils are utilised within the household. Personal and Household Hygiene is not negotiable. We maintain a very high standard of living and respect for one another. Compatible house-share folks will be positive people, able to engage easily with a fundamental value for the upliftment and wellbeing of others, who are able to consciously dialogue with those around them. 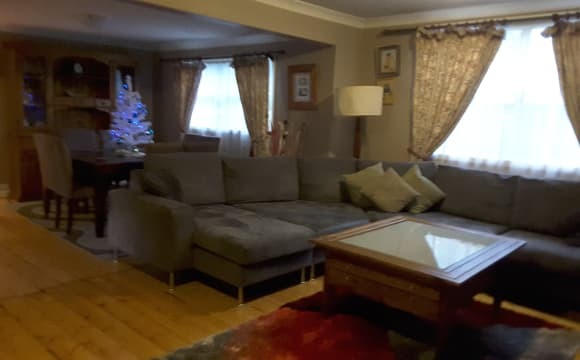 Cosy, fully furnished house, with a beautiful ambience in a quiet and serene setting, backing to bush. Come, and eat from our food forest (under construction). We welcome folks with an interest in growing food and honouring our environment. We have free range chickens and ducks. 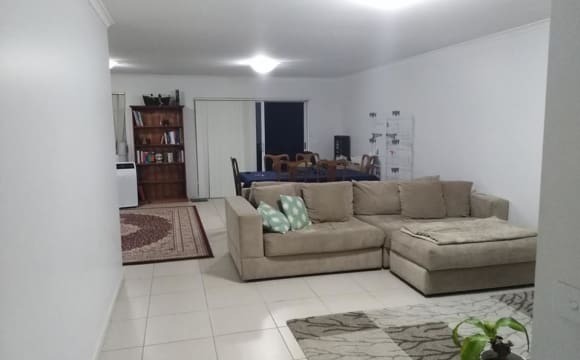 Close to public transport (20 min walk to Springwood Station and 3 minutes walk to bus stop), and 5 minutes drive to the highway. 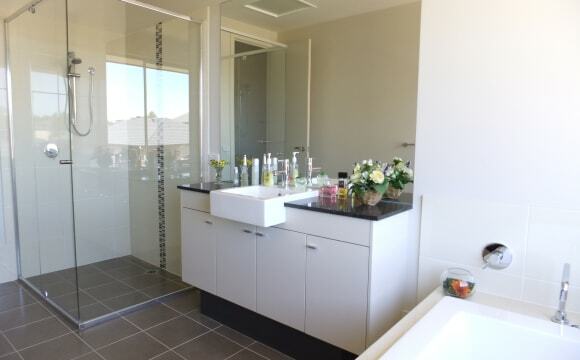 The main bathroom includes a lovely bath when you feel the pull to luxuriate amongst the bubbles. And for your comfort, there is an additional toilet in a separate area of the house. Each household member is responsible for sharing the vacuuming and cleaning the bathroom (1-2 times per week as required). Each household member if staying for a longer term must contribute to the space in some way .. that's a conversation and a brainstorm. 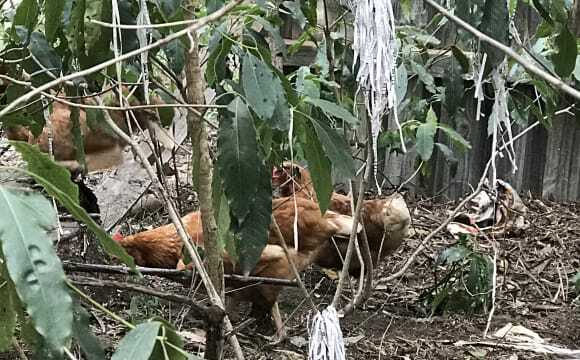 It may include looking after the chickens and ducks occasionally, help in the vegetable garden (if you are eating produce), watering when needed, building / fixing something if required / depends where one's skill level lies. There are quite a few projects on the hop, which heralds transformation in the yard with a view to engaging community in future creative workshops, gatherings and performances. The Urban Farmer Blue Mountains .. Co-Creating a Creative Space for Community ..
Two large upstairs bedrooms available in our 4 person sharehouse. The main room is upstairs and has lots of natural light with a nice bush and garden view that has some colourful flowers in Spring. The room is large 4.3 x 4.0 metres and easily fits a queen bed, desk, and TV. The second upstairs bedroom is 5.4 x 2.5 metres and has great natural light. It can easily fit a queen bed, desk, small couch or wardrobe. 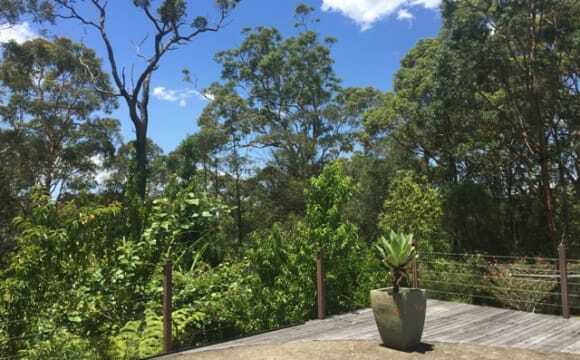 The house is just a 5 minute walk to Warrimoo station, surrounded by beautiful nature and furnished and naturally well lit. The house stays cool in the summer and warm in the winter. There are two toilets and the upstairs bathroom is shared. The lounge room is a nice quiet place to chill out! There is also a garage studio pictured which can be used to hang out or for projects/art/anything you like if you need some extra space. You can bring your own furniture/make adjustments or furniture can be provided if requested. Bond can be negotiable. Feel free to message me with any questions. My house has four bedrooms, a study and three bathrooms. We have two living areas and a tv area set up outside. We like to keep the house clean and tidy and generally cook separately but happy to have a housemates meal every now and then. Currently my partner and I are in the main bedroom and we have one other housemate. We are only looking for one other housemate. A comfortable family home with in-ground salt water 9 meter fibreglass swimming pool and deck plus covered pergola outside if smoker. Large kitchen with 12 seat dining table. Double oven and 900mm gas cooktop. Would suit someone working abd able to live with other people. Reverse cycle ducted air conditioning throughout house. Gas hot water. Room has built in wardrobe, drawers, shelves and king single bed. Can be unfurnished if preferred. Call Nicole to organise a time to see the property. House close to schools, shops, parks and bus stop only 10 minutes to Penrith. Feel free to email, text/message with questions or phone. 80s 3 bedroom brick home with 3 bedrooms, 2 bathrooms, seperate lounge and office at the back, Aircon, garage and under cover bbq area. Internet, netflix all included. Quiet area, 350 meter walk to greygums hotel etc. LARGE ROOM WITH PRIVATE BATHROOM Large, light-filled , unfurnished, room with built in robe, private bathroom and attached balcony to rent in quiet, share-house apartment in Jamisontown. Would suit non-smoking, tidy, working or studying person. Sharing with three other people. No pets. No children. On street parking, secure building, lockable room, 2 x shared balcony, shared Kitchen/laundry/lounge areas. NBN wireless internet. 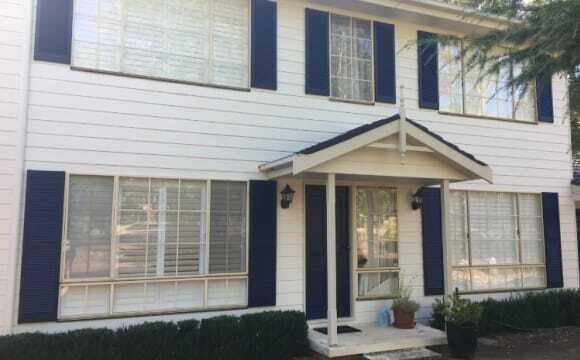 Two minutes walk to bus stop, Panthers, restaurants, parks. 10 minutes walk to Nepean Square shopping Centre. 20min easy walk (or 4 min bus ride) into Penrith City. 5 minute walk to Westfields and 10 minute walk to Penrith train station. Price includes unlimited wifi, Foxtel, electricity and underground parking space with remote access. Bedroom has mirrored built ins and you’ll have your own bathroom. The relatively new property is gorgeous. Centrally located! 2-minutes walk to the train station and busses. 5-minute walk to the Penrith Plaza. About us: You'll be sharing with myself (Maddi) and my boyfriend (Jymon) and Brad. We are 19-24 who all work/study! About you: We're are looking for someone who's friendly, and adds a good vibe to the place :). Preferably 18-28. We both help out around the house, and are looking for someone who is going to do the same, and is neat and clean. The home: - 1 y/o terrace house - 3 story! - Your own bedroom (queen size), and shared bathroom (with one other) - Dishwasher, internet, washing machine, pantry, ducted heating/air-con, all the good stuff. 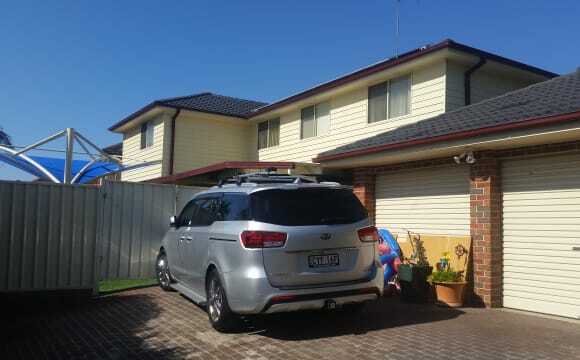 - 5 min walk to Penrith station &amp; Westfield. Room 1 Features: Shared bathroom with only 1 other person! Spacious room with built in robe. All bills included! Room 2 Features: Shared bathroom with only 1 other person! Spacious room with built in robe. All bills included! If this sounds like a good match send me a message and a bit about yourself. Large Room Available Bright, fully furnished large bedroom with build-in wardrobe, fully furnished. This is a modern house with beautiful and peaceful environment surround, clean and quiet. Free tennis court and swimming pool are provided by community. The house is very comfortable to live and peaceful environment surround, also so quit during day and night. It is an ideal house for study, relax and sleep. A bus is running through, 2 minutes’ walk to the bus stop and 5 minutes driving to Penrith Station. Looking for a single full time working person or student to share accommodation with other friendly busy professional working people. 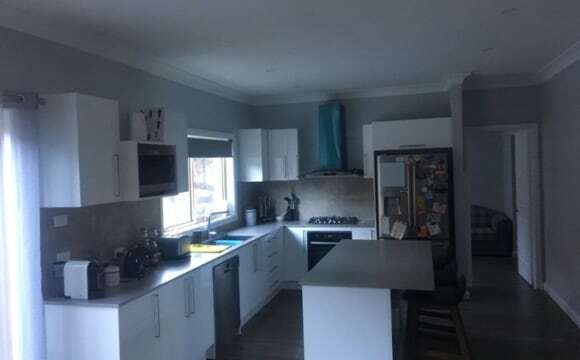 The property is in a great location close to Southlands shopping Centre, bus stop to Penrith or the Train Station, and a great back outdoor bow area. Mountain views, close to public transport, 5 mins to Penrith. Access to community swimming pool, tennis courts, outdoor gym, BBQ area &amp; walking paths. Built in wardrobe. Monthly cleaner can be arranged, ducted air conditioning. Prefer non smoker. No eating in the rooms. No pets.